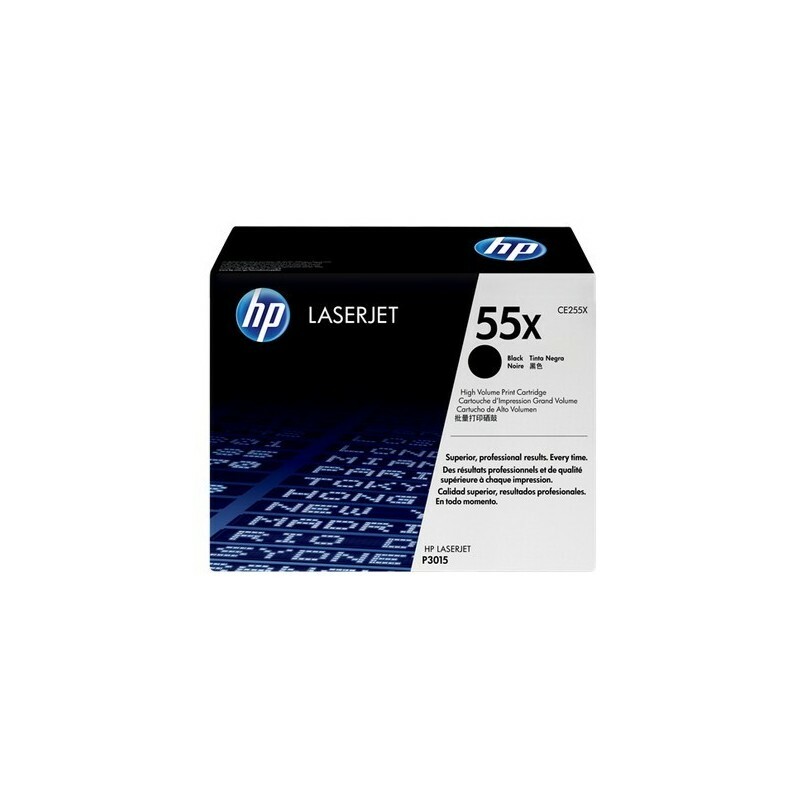 HP 55X | CE255X, High Yield, Black Original Toner Cartridge, 12500 pages. 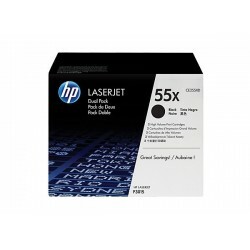 Compatible with: HP P3015d, HP P3015dn, HP P3015x, HP LaserJet MFP M521dn, HP LaserJet MFP M521dw, HP MFP M525dn, HP MFP M525f, HP MFP M525c. 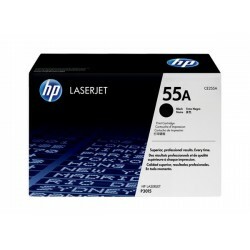 Buy an original HP 55X (CE255X) toner cartridge from a Canadian HP dealer. As every toner cartridge will have its own unique yield (pages printed per toner cartridge) for a specific price, the only accurate way to compare the real cost of the CE255X toner is by CPT. CPT is very easy to calculate. With Original HP CE255X toner cartridges and uniquely formulated HP toner, get consistent print quality throughout the life of the cartridge. When 70% of the printing process relies on the cartridge, choose the one designed specifically for the printer.HP CE255X. 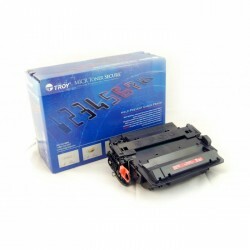 Type: Cartridge, Page yield: 12500 pages, Printing colours: Black. 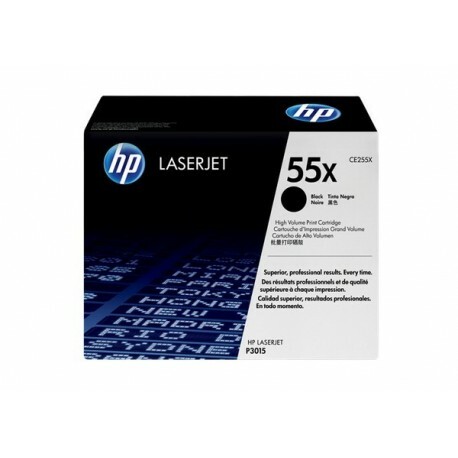 Original HP CE255X toner cartridges the time-saving, cost-effective choice. And our recognized environmental leadership makes HP the responsible choice. Keep the office running smoothly with the outstanding print quality and reliable, trouble-free printing of Original HP.